For the first time since 2009, legislation proposing a national tax on soda and other sugar-sweetened beverages is under consideration in the House of Representatives. U.S. Rep. Rosa DeLauro (D-CT) introduced the Sugar-Sweetened Beverages Tax Act -- or SWEET Act -- on Wednesday. 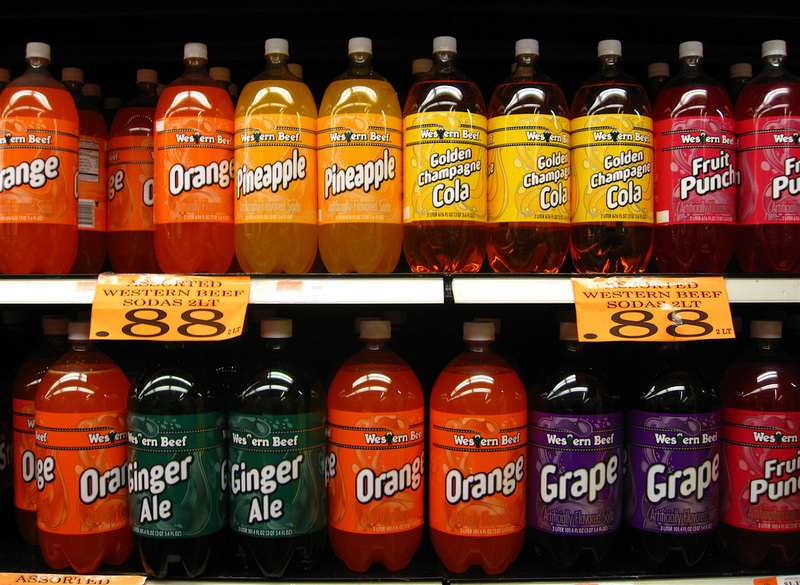 Tax would create a "built-in incentive" for soda makers to reduce sugar concentration. The bill would levy an excise tax on sugar content in beverages. This is different from the taxes proposed in San Francisco and Berkeley, which would levy a tax per-ounce of sugar-sweetened beverage. Under the SWEET Act, manufacturers would pay a tax of one cent per teaspoon of sugar or other sweetener added to most beverages. For point of reference, a 20-ounce soda contains 16 teaspoons of sugar. The tax works out to just under a penny-per-ounce of beverage. Drinks such as milk, infant formula, alcoholic beverages and many juices are excluded. But because the tax is based on amount of sugar and not on ounces of beverage, the federal approach is "a built-in incentive for manufacturers to diminish the concentration of sugar," says Dr. Lynn Silver with Oakland's Public Health Institute. Silver and other PHI staff gave input to DeLauro's staff in formulating the bill and also has been part of the Berkeley coalition that helped draft the measure there. She said the national approach is different from local efforts, because a graduated tax is "more complicated" to implement at the local level. "It makes more sense at the federal level which has the resources to track down all the beverages and figure out how much they should be taxed," Silver said. "But for smaller communities, that would be challenging." One of the first questions that reasonably pops into people's minds when they hear about such a bill is what is the possibility of it passing? Silver countered that question with a question: "How many times did health care reform get introduced? Lots. Almost a hundred years before it actually passed -- and it passed in pieces, with Medicare and Medicaid each being created separately." Silver said she expected "many attempts and incremental efforts to really make change." Mexico passed a similar soda tax to the one proposed -- a peso per ounce, or about 10 percent -- which took effect in January. The Wall Street Journal reported in late February that consumption of sugar-sweetened beverages promptly dropped 5 to 7 percent. At the same time, consumption of diet sodas and bottled water are up. "I think the first lesson of the Mexican soda tax," said Silver, "is that it's working as expected." People are cutting back on sugary beverages and increasing consumption of more healthy alternatives. If the SWEET Act passes, the money would go to the Prevention and Public Health Fund created under the Affordable Care Act. In addition to any public health programs the money might fund, a tax is estimated to have modest effects on health, because of reduced consumption of sugar. A U.C. San Francisco study found that a national penny-per-ounce tax would reduce sugar-sweetened beverage consumption by 15 percent. Researchers said that reduction would lead to modest weight loss and reductions in diabetes. Over 10 years, researchers estimated there would be 26,000 few premature deaths, 95,000 few instances of heart disease and 8,000 fewer strokes. The American Beverage Association opposes the tax. A statement on its website is titled, "Taxes Do Not Make People Healthy." It's only the first day of the SWEET Act. Berkeley voters will consider the penny-per-ounce tax in November. It needs a simple majority to pass and money raised would go to the general fund. An advisory committee of public health and nutrition professionals would recommend how to spend the funds, Silver said. The San Francisco measure would levy two-cents-per-ounce. It is a dedicated tax; funds would be spend on health programs. It needs a two-thirds majority to pass. This post has been updated to clarify the type of tax the national bill would create.